Elevate Your Sound to the Power of Z! 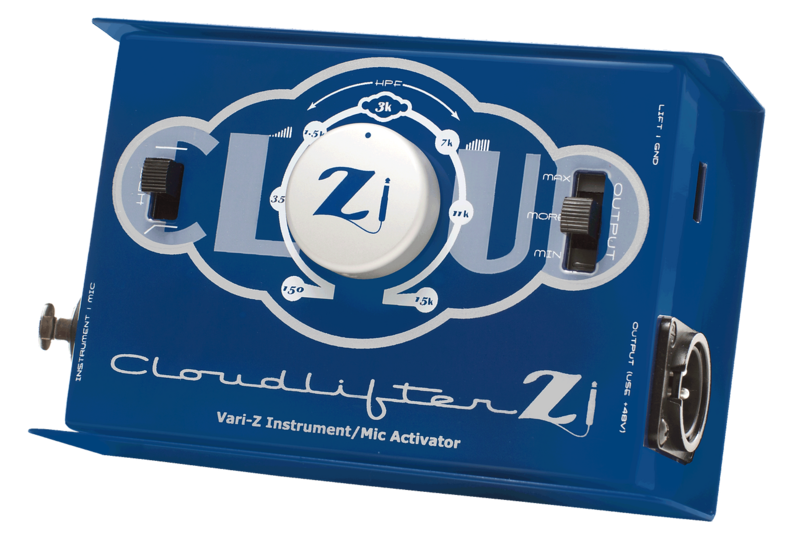 Tucson, AZ – Cloud Microphones is now shipping the new Cloudlifter® Zi Vari-Z Instrument DI and Mic Activator, bringing their popular Cloudlifter technology to guitar players, bass players, keyboard players and more. The Zi gives players control over their tone and loads of ultra-clean gain when going direct or miking up their amp. The CL-Zi’s variable impedance “Z” knob and high-pass filter work in tandem to create massive tone shaping through the manipulation of impedance loading. This is a great way to customize your tone before the gain stage of your signal path - just turn the “Z” knob until it sounds right! The CL-Zi has a three-position gain switch allowing for minimum gain, more gain, or the maximum gain available (up to approx. +25db for microphones or 12dB for instruments), This allows players to access clean gain and a lower noise floor for many studio or stage applications, from an electric guitar player that uses amp modeling or an acoustic guitar player, bass player, or keyboardist going direct. As with all Cloudlifters, the Zi can be used with dynamic microphones to increase gain before feedback on stage or ribbon microphones to boost signal quality in the studio. The Cloudlifter CL-Zi is now available at authorized dealers for $449 MSRP, $379 MAP.